Tuesday and Wednesday, the staff at BP South Side will be providing quick-hit takes on the different White Sox positional groups, making predictions on who will be the regular starters at different points in the season, as well as offering optimistic takes, pessimistic takes, and hot takes. Today’s post features the position players. Optimistic take: Garcia hits as well as he did in 2017 and his defense takes another step forward, Delmonico’s bat-to-ball skills lead to a high batting average and his glove doesn’t hurt in any meaningful way, and Engel is merely “bad” at the plate instead of “totally lost” while providing value defensively and on the base paths. Cordell’s hot spring translates into a hot stint in Triple-A, where he forces his way to Chicago and either surplants Engel or is a useful utility outfielder. Charlie Tilson proves he can stay healthy over the course of an entire season and gets some useful time in the majors at some point during the season. Jimenez comes up by virtue of totally obliterating the minor leagues and turns into the second coming of Giancarlo Stanton. Pessimistic take: Delmonico hits like someone who was never on anyone’s radar to begin with, Garcia hits like the year 2017 never happened, and Engel hits like he has his entire career. The back injury that kept Cordell on the shelf for most of 2016 flares up and he ends the season as a 26-year-old minor leaguer who can’t seem to stay on the field. Tilson gets hurt again, and Jimenez struggles with the high minors and ends the season looking farther away from the majors than he did before it. Hot take(s): Cordell leads all White Sox outfielders in WARP. Optimistic take: Castillo performs more or less exactly as he did last year in Baltimore, both offensively and defensively, but with ~150 more plate appearances. Abreu is Abreu, and we put away our worries of him aging ungracefully for at least another year. Moncada lives up to the pedigree of a former top prospect and solidifies himself as a legitimate superstar for years to come. Anderson is a 20 homers, 20 stolen bases guy with improved defense (asking him to increase walks is too unreasonable, IMO). Sanchez and Saladino solidify themselves as worth rostering as we move farther along into the rebuild. Davidson adds 50 points to his OBP to go along with his mammoth power and proves rosterable beyond 2018. Pessimistic take: Castillo’s defense regresses to pre-2017 levels and his offense takes a significant step back, making him more or less platoonable and thrusting Omar Narvaez into more playing time. Abreu starts to age as poorly as we’ve feared, and he spends the year battling nagging injuries that zap his power. 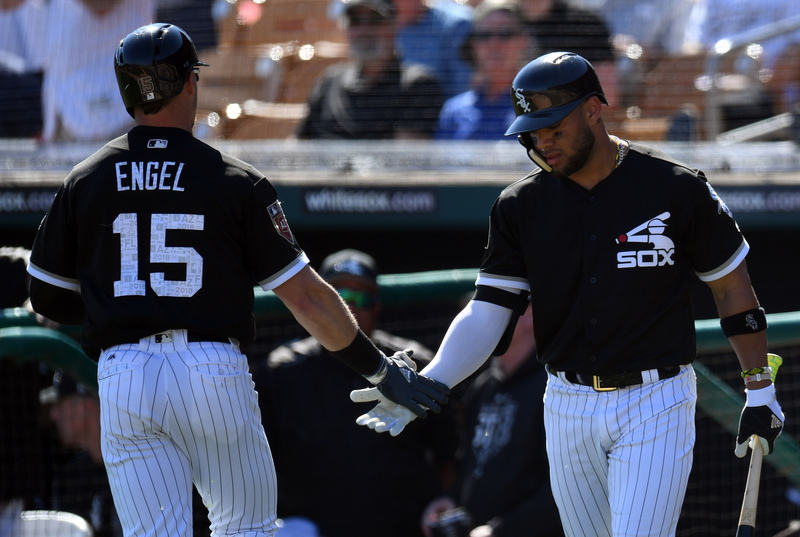 The swing-and-miss in Moncada’s bat is more of a hinderance than anticipated, and his other tools aren’t able to carry him as well as hoped. Anderson has essentially his 2017 season again, and the Sanchez/Saladino combo is below-replacement level. Hot take(s): Moncada makes the AL All-Star team. Saladino bounces back from his poor 2017 and is traded before July 31.